Luke Laverdiere (Yarmouth) Flo50 #1 - The defending Class B State Champion is the heavy favorite to repeat as champion. Laverdiere's season has been picture perfect to this point as he has won each race he has started this fall. 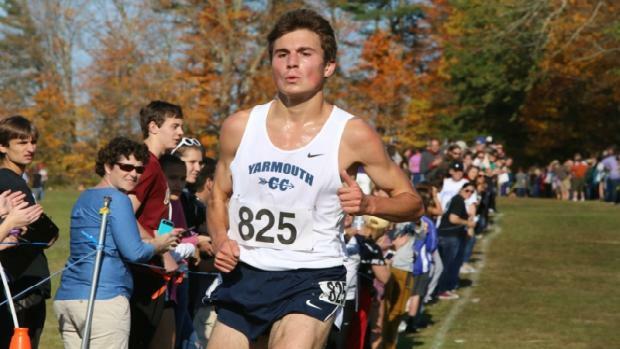 His marks have been impressive along the way as the senior ran 15:17.85 to win the inaugural Southern Maine Classic in early September. 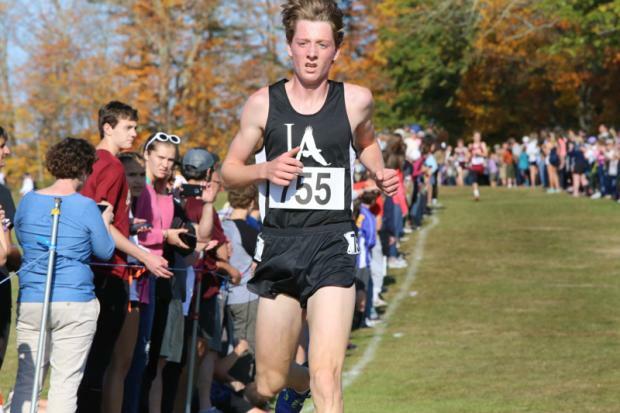 He followed that up three weeks later running the second fastest time (15:10.86) to win the Maine XC Festival of Champions. Last week it was cruise control for 2 miles before running the difficult last mile at Twin Brook in 5 minutes as he would go on to run the fastest time of the day 16:11.34. Sub 16 is on Luke's mind, and his effort last week gives him the confidence that he could join the elite ranks of athletes under 16 minutes at Twin Brook. Libby has had an excellent senior campaign winning six times, and his only losses to Maine athletes has been Luke Laverdiere twice. 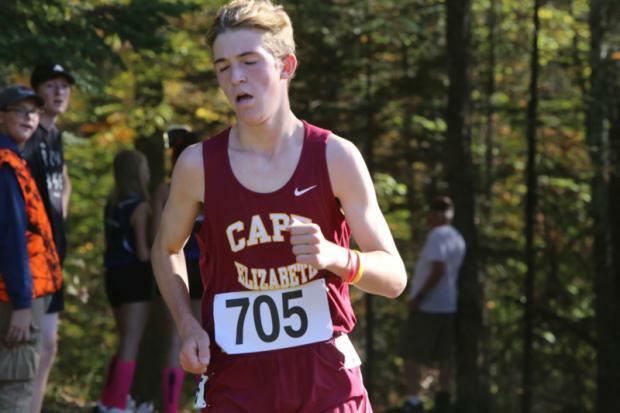 Libby opened strongly with a 16:10 third place effort at the Southern Maine Classic, he would go on to break 16 minutes for the first time at Freeport with his 15:59.26 effort. Two weeks later he easily won the WMC Championship. At the Southern regional last week he ran stride for stride with Laverdiere, going on to finish as the runner-up in a time of 16:52.55. Libby knows that beating Laverdiere will be a tall task, and he may be more focused on getting a guarenteed low stick for his team who will be in the mix for the team title. Russ finished third at the Southern Maine Regional a week ago running 17:13.40. Russ didn't bother to go with Libby & Laverdiere last week but instead made sure he ran his race, and finished with a low stick for his team. He accomplished both of those goals as his 3rd place stick lead the Eagles of Lincoln Academy to the regional title. Last year at states Russ finished 79th as he had an off day. He has prepared a little smarter this fall for the postseason, and has plenty of run left in his legs. Don't be surprised to Russ follow the same race plan on Saturday, he would like nothing better to erase last year's finish, and stand atop the podium with his team raising the state championship trophy. 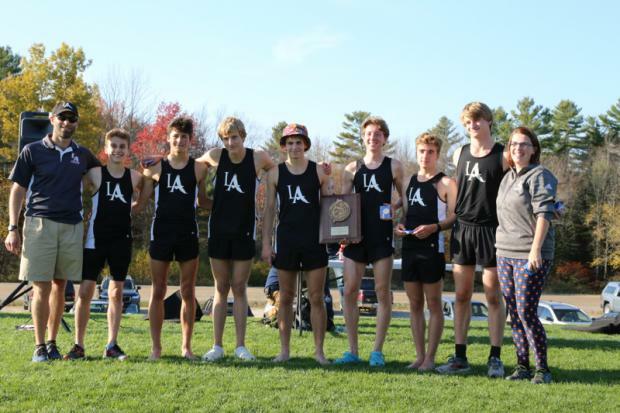 Dall won the Northern Maine Regional for the third year in a row last weekend, his 16:41.50 was a seasonal best for the junior out of Waterville. He has purposely held back this year as he recovered from a knee injury that knocked him out of track last spring. Each week Nick has been gaining fitness and it is showing in his performance. 4th a year ago Dall has the talent to move up into the top three on Saturday as he continues to get back to his top level. Everyone will be chasing the Lincoln Academy Eagles (Flo50 #4) on Saturday for the Class B State team title. The Eagles have been the top Class B season this the entire fall, and have shown the last two weeks they are the real deal winning KVAC & Southern regional titles. Lincoln Academy is paced by standout Sam Russ, along with a strong supporting cast of Jarret Gulden, David Barnum, Benji Pugh, & Noah Jordan. Last week they tallied 41 points with a 17:53 average. Looking to challenge for the title will be Freeport & Wells from the south, and northern teams Hermon, MDI & Waterville. Freeport was the Southern regional runner-up as they averaged 18:25. Leading the the way for the Falcons is freshman Martin Horne & junior Alex Les who finished 5th & 7th respectively. This young team will look to make there mark on the podium. 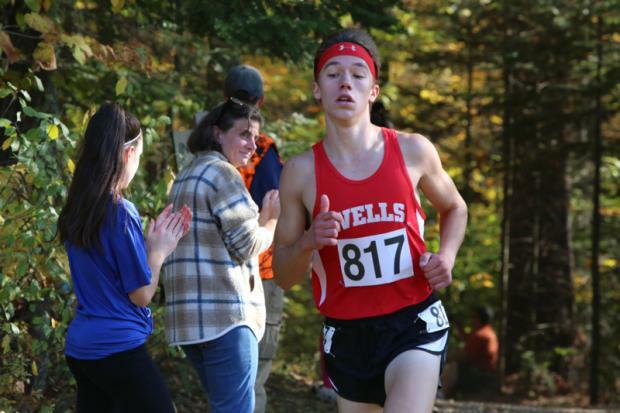 Wells has dealt with injuries this fall, and leader Mitch Libby said the race at regionals they were going lay it all on the line for the team title. The Warriors will need another low stick from sophomore Griffin Allaire and need Mitch Stapleton to run slightly better than his 15th place effort to move up to challenge. Wells #5 runner will be the key to their success ultimately last week they scored 52 at that position. Hermon has come on strong the in the postseason. The Hawks eeked out a 4 point win at the Northern Maine Regional. The Hawks are led by Braedon Stevens & Kyle Byram. 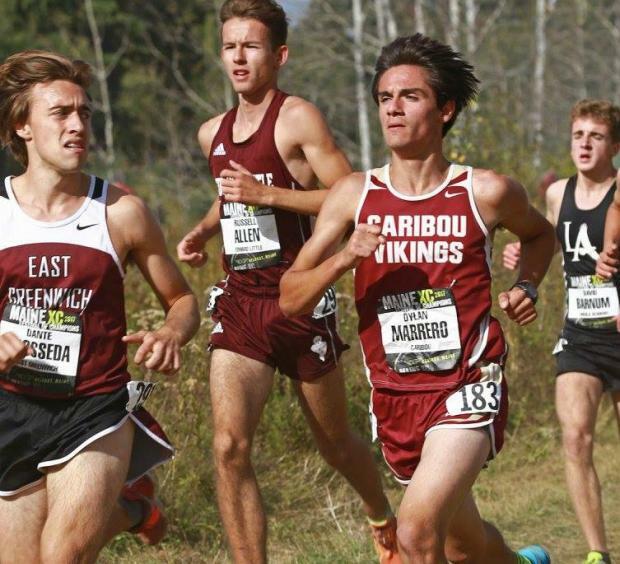 Mt Desert Island has been without top runner Thorin Smith the last couple of weeks, with him in the lineup the Trojans are a totally different team, one capable of a podium finish, without him and they likely will battle for the top three. Leading the way in Smith's absence has been Nick Reznick. Waterville had it's best effort of the season in a surprise finish at the Northern Maine Regional. Led by Nick Dall, they will hope for a low stick from him, and then another from senior Soren Nyhus who was 8th a week ago.